This article explains the guidelines for making logos. Official logo is strictly defined, but derivatives are not limited with that. 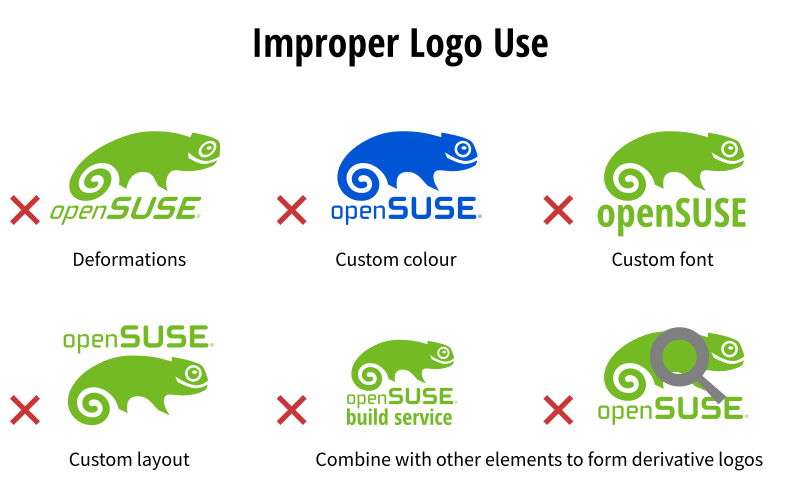 Please refer to the openSUSE Trademak guidelines if you want to redistribute openSUSE-based projects with openSUSE logos. 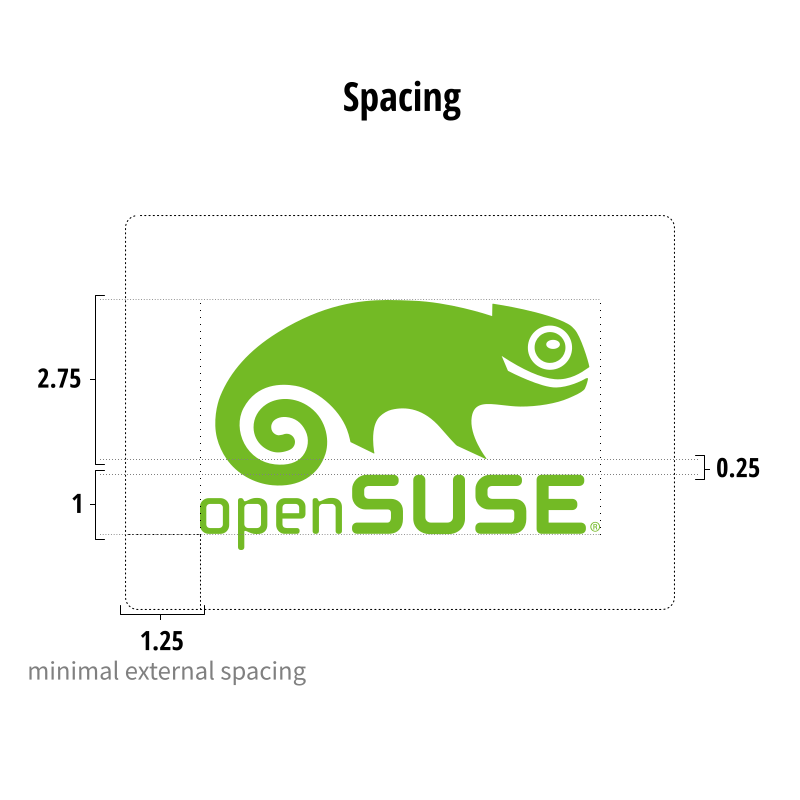 The openSUSE Linux distribution is identified by the Geeko chameleon which can be accompanied by the openSUSE logotype. openSUSE must have a registered trademark symbol (R). There must also be a registered trademark symbol (R) next to the geeko image. Typically this is placed small, next to its front foot. The openSUSE green is #73ba25 or (115, 186, 37) in the sRGB space. When printing, use the Pantone Uncoated #368 green. When using the logo on top of textured or colored background, use the monochrome version of the logo. The openSUSE green should only be used on white backgrounds. Do not use other color treatment than openSUSE green or shades of gray. This page was last modified on 16 March 2019, at 23:23.